Wait. 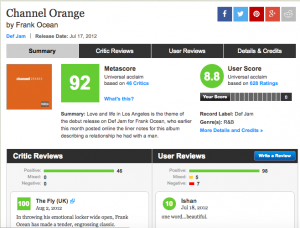 Why does anybody care about Frank Ocean? Ah, I see you don’t listen to good music much anymore if you’re asking this. But, let me quickly recap: In 2012, Frank Ocean dropped the Alternative R&B album Channel ORANGE, which produced smash hits such as “Thinkin’ Bout You” and “Super Rich Kids” and “Pink Matter” and “Pyramids” and “Pilot Jones” and “Fertilizer” and (okay fine, you caught me. They weren’t all smash hits, but in the hip-hop community and in critics’ eyes, the album was highly praised and quickly rose to the status of a masterpiece). The album was praised so highly that practically overnight, Frank Ocean became a musical icon for the future of R&B (my friend Narkis disagrees with me on this point. He says that Frank was very significant before the album. “Novacaine” put him on the map. He says it is a major song. I am typing this now as he is singing it aloud to me. I remember that song. He usually knows more than me on this kind of stuff so he is likely right on this one). Everybody wanted more from Frank Ocean. SO? Well, everyone wanted Frank to drop his next album, but instead of doing that, he kind of just left the music scene entirely. No verses, no features, no singles, nothing. Frank just disappeared out of literally nowhere. And just as everybody was beginning to accept we might never see the likes of Frank Ocean again, he teased us. The world was finally given what appeared to be an album name, a loose release date, and even a magazine (twoooo of them, to be exact). “Boys Don’t Cry” quickly became a trending phrase on Twitter and Myspace. Reddit lost its sh*t. Facebook was still cumulated of mostly posts about vacations and cat videos, but a few people there still got it. The world exploded with the news of a new Frank Ocean album, and everyone waited in anticipation for July. Wow, what a nice story. So, how was the album? July 1st came. No Frank Ocean. July 2nd came. No Frank Ocean. July 3rd came. No Frank Ocean. July 4th came. No Frank Ocean. July 5th came. No Frank Ocean. July 6th came. No Frank Ocean. July 7th came. No Frank Ocean. July 8th came. No Frank Ocean. July 9th came. No Frank Ocean. July 10th came. No Frank Ocean. July 11th came. No Frank Ocean. July 12th came. No Frank Ocean. July 13th came. No Frank Ocean. July 14th came. No Frank Ocean. July 15th came.No Frank Ocean. July 16th came. No Frank Ocean. July 17th came. No Frank Ocean. July 18th came. No Frank Ocean. July 19th came. No Frank Ocean. July 20th came. No Frank Ocean. July 21st came. No Frank Ocean. July 22nd came. No Frank Ocean. July 23rd came. No Frank Ocean. July 24th came. No Frank Ocean. July 25th came. No Frank Ocean. July 26th came. No Frank Ocean. July 27th came. No Frank Ocean. July 28th came. No Frank Ocean. July 29th came. No Frank Ocean. July 30th came. No Frank Ocean. July 31st came. No Frank Ocean. August 1st came. No Frank Ocean. And so, Frank Ocean stans got very upset, the hip-hop community felt very confused, and everyone simultaneously realized that Frank Ocean was an elusive artist that had no rules. A few things happened that was important between then and a year later. There was that one time Frank released an album on Spotify that really just turned out to be his old mixtape. Good one, Frank. There was that one time Frank Ocean appeared out of nowhere to do a 40-second verse on Kanye’s The Life of Pablo, which freaked everybody out because this confirmed he was not dead. Luckily right after this, he did not make a sound, thus making everyone again assume he was dead. Good one, Frank. There was that one time where footage leaked of a supposed Frank Ocean listening party for his new album, but the audio sounds like the microphone was composed of just a monkey eating the crunchiest banana of all time. Again, Frank said nothing and just continued to play dead. Good one, Frank. And that was it. The world just stood there, waiting endlessly. Ah, thank you for catching my wordplay there. Because then, one year after everybody was disappointed, this appeared on his website! 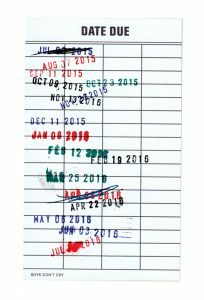 It’s all of the due dates that Frank Ocean missed or a date that was significant in his post-Channel ORANGE career (you can find the exact significance of those dates here). The last date appears to be July SOMETHING, 2016. 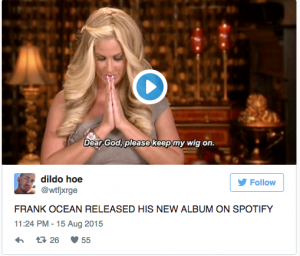 That smudged out day was enough to excite everybody about the enigma that is Frank Ocean. At last, we were going to be given the Boys Don’t Cry that we deserved! So, July 1st came. No Frank Ocean. July 2nd came. No Frank Ocean. July 3rd came. No Frank Ocean. July 4th came. No Frank Ocean. July 5th came. No Frank Ocean. July 6th came. No Frank Ocean. July 7th came. No Frank Ocean. July 8th came. No Frank Ocean. July 9th came. No Frank Ocean. July 10th came. No Frank Ocean. July 11th came. No Frank Ocean. July 12th came. No Frank Ocean. July 13th came. No Frank Ocean. July 14th came. No Frank Ocean. July 15th came.No Frank Ocean. July 16th came. No Frank Ocean. July 17th came. No Frank Ocean. July 18th came. No Frank Ocean. July 19th came. No Frank Ocean. July 20th came. No Frank Ocean. July 21st came. No Frank Ocean. July 22nd came. No Frank Ocean. July 23rd came. No Frank Ocean. July 24th came. No Frank Ocean. July 25th came. No Frank Ocean. July 26th came. No Frank Ocean. July 27th came. No Frank Ocean. July 28th came. No Frank Ocean. July 29th came. No Frank Ocean. July 30th came. No Frank Ocean. July 31st came. No Frank Ocean. August 1st came. Hello, Frank Ocean. No, he didn’t drop his album in July or even on the first day of August, but he did update his site again, this time with what appeared to be a live-stream of Frank Ocean constructing something from scratch. It was entitled “Endless” (again, Narkis disagrees, saying it was not called “Endless” until the August 19th release. I disagree. I remember reading the title on the site. I believe, unlike before, that I am right in this one). Occasionally, Frank would arrive, do mild and mysterious construction, and then leave. Sometimes, music would play in the background, but usually very slow instrumentals with no vocals whatsoever. Sometimes the screen would flash and glitch. The video was one of those things where it was cool to watch for a few minutes, but it was not Boys Don’t Cry. It was just Frank Ocean trying to get a carpentry license while the world kinda watched it. It was weird. That is, until August 18th at 11:00ish pm EST. Good cliffhanger. Why was this date so crucial? BECAUSE SOMETHING HAPPENED! After a really, really long time of Frank Ocean being absent, he returned and actually started to assemble his creation, which appeared to be a staircase at this point. He built it while playing music with vocals this time, not only that, but it was his vocals. It was almost as if he was live-streaming his entire album for the first time ever. Since it was a Thursday night and most every album drops midnight Friday, EST, I knew something big was about to happen and I was the first to call it in the world (true story). I knew in just one hour, Frank was going to drop something. And at 11:59 pm EST, Frank finished the staircase, walked up and down it, and then disappeared out of the viewing angle of the camera. The live-stream promptly stopped. The website updated. Apple Music updated. We finally had new Frank. SO I CAN NOW LISTEN TO BOYS DON’T CRY?!?!?!?!?!?!?!?!?!?!?! No. He didn’t drop Boys Don’t Cry. 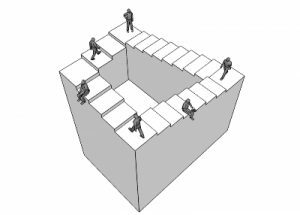 Instead, he dropped a 45-minute video exclusive to Apple Music entitled “Endless.” The video (or what many or calling a “visual album”) is one, two, or three Frank Oceans at a time building the same staircase we just watched him build for 18 days. 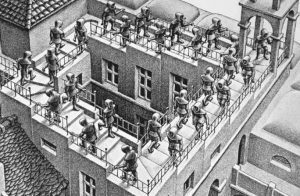 Editing magic allows Frank to clone himself and finish the entire staircase in exactly 0.17361111111% of his original time. Wow! The music in the background is nice, but it doesn’t sound like the album we’ve all been waiting for. This is just my opinion, but it’s the mixing that makes it appear that way. Most of the songs feature Frank singing falsetto to accompany a beat or melody already present in the song. There are lyrics, sure, but they feel secondary to the meat of the actual song. It’s almost like they were mixed in as the third most important part of the song. When listening to it, it is honestly really easy to zone out and not even pay attention to any of his lyrics. Understanding what he is trying to say is especially hard since it is buried deep under a masterful production. The soundtrack to this video is nice and beautiful and finally new Frank, but it isn’t what we have been waiting for, and I think he knows that. I reread this now and realize my overall point may be misconstrued. This is fantastic music Frank just put out, but through the mixing and overall simplicity of the album (which is such a giant turn away from Channel ORANGE), I don’t think this is what Frank has been working on for four years. And it seems that everyone, even Frank, agrees with me. Where is Boys Don’t Cry? Drumroll, please. Boys Don’t Cry is coming out………..
Yup. He will never drop it. Instead, he will drop an album under a different title supposedly close to the release date of “Endless” (with some sources saying even as close as this weekend). 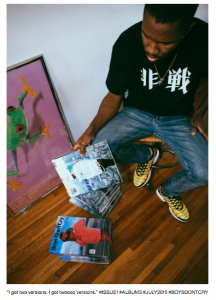 This “Endless” project was a minor project in the overall grand scheme of Frank Ocean, and with Rolling Stone confirming that this is not the album we have all been waiting for, it is clear that the world will have to wait a little bit longer (hopefully) for Frank to drop the album. At least this time, we get to wait with a fantastic soundtrack to go along with it. Nathan, what do you think “Endless” means? I don’t know, ask a dictionary. In my opinion, I think a few things are interesting about “Endless.” Endless clearly means “having no end; limitless,” right? Well, one thing to notice right off the bat is that the album is not made of songs that end, but one giant track. The album doesn’t have stopping points (or at least, it’s not designed to), but instead it is supposed to be one long listen. Interesting. 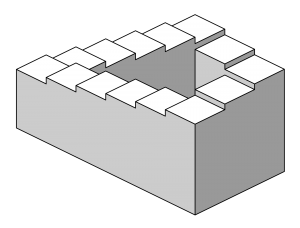 The “Penrose stairs” are a series of steps that endlessly loop around and continue to climb regardless of your position. If they were possible, one can essentially continue to climb upwards forever and never even realize it. It would be cruel of me to not share the Inception scene while I talk about this, right? Fair enough. I’ll stop talking about it and let Joseph Gorden Levitt do the talking instead (btw, he’s my favorite actor of all time). Of course, I haven’t really read this anywhere and this is by no means confirmed by anyone other than me, these are just my unsolicited thoughts on the entire “Endless” project. With that being said, however, I don’t think I’m too far off. Now, all we can do is wait. I have a feeling, though, that our waiting will eventually have an end to it. 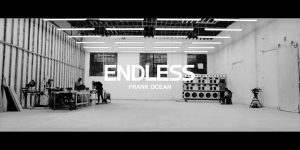 Click the picture above to watch “Endless” by Frank Ocean while we wait (and try not to cry) for his upcoming album.